Rolling Hills Hypnobirthing provides the KG Hypnobirthing course (teacher training accredited by the Royal College of Midwives) which is a full antenatal programme for expectant mums and their birth partners. It is a great way to bond with your partner, discuss preferences surrounding birth and and learn techniques together. I use a wide range of techniques so that we can find the ones that work best for you. You will be provided with the KG hypnobirthing book, the KG CD to listen to at home, a folder of notes and a goody bag. These strategies are not only used during pregnancy and birth but also to help you adjust to life with your new baby. Rolling Hills Hypnotherapy offers private couple sessions , group sessions in Hemel Hempstead , Refresher courses and sessions for preparing for a caesarean birth . Find out more by clicking on each option. (The session were) "really balanced, logical and provided practical help on how to feel confident in my own ability to give birth. They helped undo a lot of negative assumption/fear that I had surrounding birth. Learning Liam's wishes and thoughts has brought us closer together and made me feel like I can rely on him more and has helped him feel included in the process. Clare is a fab teacher. Thank you for being so kind and patient." "The breadth of the topics, around birth and the lead up, have been invaluable. I feel a lot more prepared; (The sessions) provided me with confidence and a sense of purpose. The practical tips have been great! Clare is amazing at guiding you through in a relaxed and open way. Thank you!!" "As one of the last of my friends to have a baby, I'd heard a lot of labour stories, many of which were quite scary. It meant that I had many preconceptions about the birth experience. I was worried about feeling out of control and panicking during the labour and what this could mean for my health and that of my baby. 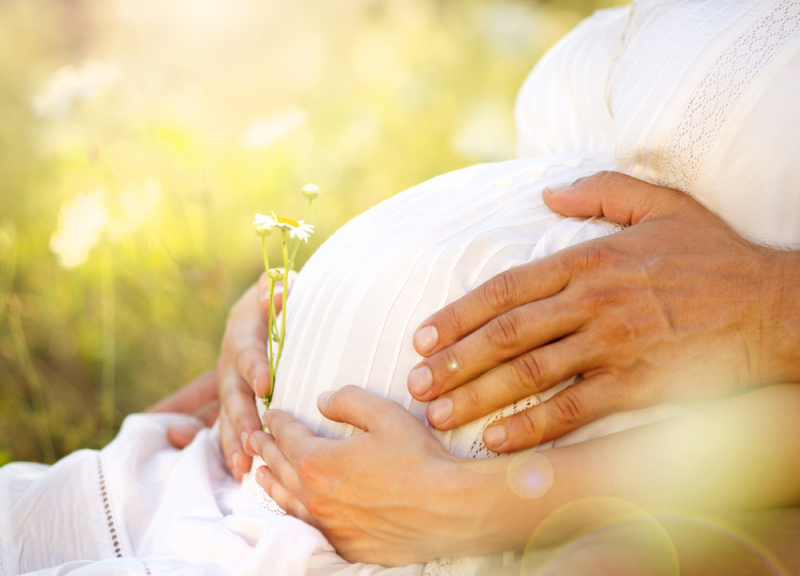 Hypnobirthing gave me a level of confidence that surpassed what I could have hoped for. Clare not only helped me to understand what to expect but also equipped me with techniques to prepare for labour and ensure I would be as relaxed as possible. Throughout the labour I was able to use the range of tools and as a result I stayed calm the whole way through. I am very happy to say our baby girl arrived smoothly and without complications. I couldn't have wished for more and I'm very grateful to Clare's expertise and approach in helping to make this to happen." "I entered the couples' hypnobirthing course with few expectations and, to be honest, blind to the birth process in general. The course is designed to: empower you; to help you feel confident and calm throughout the pregnancy and during the birth; and to increase the likelihood of a relaxed labour, happy mum and healthy baby. It opened my eyes to how a birth partner can help the mum-to-be. Our little family certainly benefited greatly from it. Clare was top-notch!"